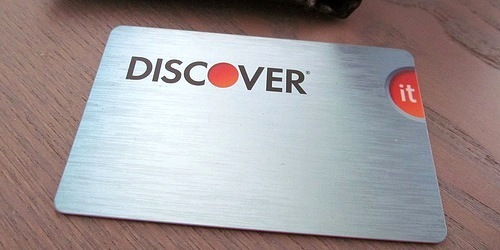 Not too long ago, Discover launched a second major credit card in it’s “it” series, the Discover it Miles card. It joined the existing Discover it Cash Back card that was the first come along. And now that there are two, I figured it’d be prudent to compare the two to assess the pros and cons. This is a rather interesting match-up because at first glance, the cards are very similar aside from a few key differences. 1% Cash Back or 1.5 Miles Instead? The biggest difference is that Discover it Cash Back offers 1% cash back on all purchases, whereas Discover it Miles gives you 1.5 miles on every purchase, or 50% more. For the record, the miles aren’t really miles, they’re fake miles, meaning they’re just worth a penny each and can be redeemed for a statement credit for travel purchases or you can deposit the cash in your bank account. Conversely, Discover it Cash Back can be redeemed for gift cards, you can pay with your Cashback Bonus at select retailers, give it to charity, redeem for a statement credit, or deposit it in your bank account. In other words, there are more options with Discover it Cash Back, but the fact that Discover it Miles allows you to move the cash to your bank account means it’s pretty much awash. The only real potential advantage is that gift cards on Discover are sometimes discounted, so you could save money via that redemption method. Of course, you can also just buy discounted gift cards elsewhere and probably save even more. Another difference is the sign-up bonus on Discover it Cash Back. You can currently earn $50 upon making your first purchase, whereas Discover it Miles offers no sign-up bonus whatsoever. While $50 might not seem like a big deal, remember that Discover now doubles all cash back earned during the first year, meaning $50 becomes $100. Additionally, Discover cardmembers can refer one another, so you can earn $50 for referring a friend or family member. And that means you can get $100 too if you’re a new cardmember enjoying double cash back the first year. In other words, a couple can snag $200 extra dollars just from the sign-up bonus via the original Discover it Cash Back credit card. However, you only earn 1% cash back on all purchases, doubled to 2% via the special promotion of double cash back the first year. The Discover it Miles card also comes with double miles the first year, so cardmembers will earn an effective 3% cash back on all spending during the first 12 months. So while you might miss out on the sign-up bonus, you’ll actually earn an additional 1% on all purchases. Of course, it’ll take $20,000 in spending to make that $200 up. If you take advantage of Discover’s ApplePay promotion, whereby you get an extra 10 miles or 10% cash back for every purchase until the end of 2015, you’ll earn 23% cash back via the Discover it Miles card and 22% via Discover it Cash Back, assuming it’s doubled. There are some other important differences as well. For starters, only Discover it Cash Back has the 5% rotating categories each quarter. This gives cardholders the opportunity to earn 10% cash back (if it’s doubled) on up to $1,500 in purchases each quarter. Discover it Miles cardholders don’t get this benefit. Instead, they just get 1.5 miles per dollar all year round. Additionally, for some reason the Discover Deals shopping portal has a lot more deals for Discover it Cash Back cardholders than it does for the it Miles cardmembers. This is an obvious drawback if you like to use shopping portals, but you can always use a third-party portal instead and probably get similar cash back, though it won’t be doubled. Lastly, only Discover it Miles customers get a $30 in-flight Wi-Fi statement credit each anniversary year, so if you like to travel and use the super slow Wi-Fi, the Miles card wins there. Aside from these differences, the cards are pretty similar. Both carry no annual fee, offer 0% APR for some promotional period (generally 12 months), give you access to free FICO scores, and allow you to freeze the card if it’s lost or stolen. Can I Have Two Discover Cards? If you already have one Discover card, but want another, perhaps to take advantage of double cash back or miles the first year, not to mention the ApplePay promo, you can do it. I recently applied for Discover it Miles after being a Discover it Cash Back cardholder for a few years. The reason I applied for a second card was to take advantage of the double miles promotion and the ApplePay deal. It was a no-brainer for me, though it did result in another credit inquiry. The only caveat here is that a year must have passed before you apply for your second Discover card. Not sure why, it’s just their internal policy. So you can’t apply for two Discover credit cards in one year. Additionally, if you already have a Discover card, be prepared to have to call in when attempting to get approved for a second card. You probably won’t be instantly approved. Instead, they’ll want to know why you need a second Discover card, especially seeing that they’re so similar, as we just discussed. However, there are many differences too, as mentioned, so tell them any of the above and they’ll probably gladly approve you if you have good credit. There is a chance you’ll need to reallocate your existing credit limit though, so if you have a $10,000 credit line with your first Discover card, you may need to move some portion of that to the new card. They may also ask if you want to migrate your existing card to a different card product…that’s up to you, just make sure they’ll still give you the sign-up bonus (if applicable) and the double miles/cash the first year. I don’t understand why the Discover Deals are any different? Any insight? I may reach out to Discover to find out why. I think the regular Discover it card has better deals in general because you get only 1% base cash back. The Miles giving you 1.5 per dollar means less elsewhere. Previous Previous post: Discover Will Soon Work with Apple Pay: Time to Apply and Earn 23% Cash Back?